So what’s the deal with fragrances? You’ve no doubt amassed a collection of treasured scents perfect for every occasion over the years, but can you ever wear your Dior with our Gucci? And what’s the best way to build up your scent for a special night out? 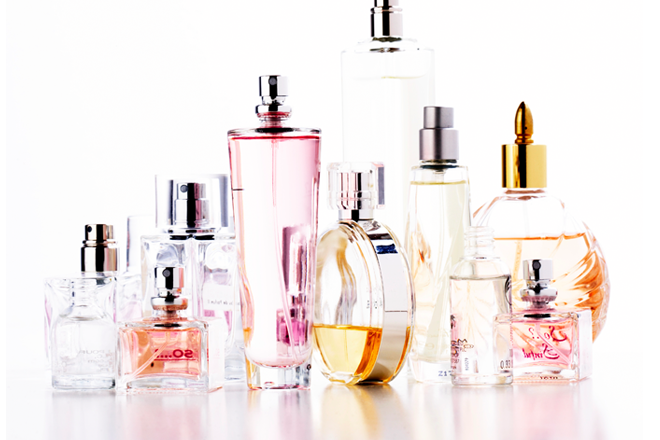 BeautySA has all your fragrance layering questions answered! Q: Should I change my fragrance for the season? A: Who says you can’t wear fruity-florals in winter? Some women like to wear lighter, fresher scents in spring and summer and some don’t. There are no rules here. If you like the way something smells and want to wear it, then wear it. Q: I’m in love with two perfumes – can I wear them together? How can I layer them right? A: Don’t be afraid to mix your perfume. Granted it’s okay to have your signature scent, but have some fun. Fragrance houses like Jo Malone have fragrances that layer really well, but if you’re mixing different brands, make sure you keep it light. The more intense ‘night-time’ fragrances are best on their own. When it comes to layering, it’s best to keep it in the family. Whether it’s woody, floral, fresh, oriental or citrus. Q: How can I get my perfume to last longer on my skin so the smell doesn’t disappear? A: Perfumer and owner of Frazer Parfums, Tammy Frazer, adds, ‘Foremost, the skin needs to be moisturised as a good base’. ‘If the skin is dry, then fragrance does not last long at all – it needs the oily skin to bind to. I would advise a thematic layering, if you wear a rose perfume, then use a light rose scented moisturiser first,’ she explains. Q: Why does the ‘juice’ in some bottles of perfume I own smell stronger than others? And when should I wear softer or stronger smelling fragrance? A: The concentration of the ‘juice’ is stronger in some formulations than in others. And it’s all got to do with the how much perfume oil is in your bottle of scent. For instance eau de toilette (EDT) is around 10% perfume oil whereas eau de parfum (EDP) has around 15% to 18% in it. Stronger concentrations are great for date night (when seduction is on the cards) whereas a gentler EDT will work for the office when you don’t want your fragrance to come on too strong. Confused by a fragrance description you’ve never heard of before? ‘Occasionally, just to maintain the mystique, fragrance houses spring strange names on you: parfum de toilette is generally the same as eau de parfum, body sprays and eaux de cologne are usually lighter than eau de toilette, and for everything else you will probably have to ask and get the wrong answer,’ says fragrance writers and experts Luca Turin and Tania Sanchez in their book, Perfumes The Guide. Wow mixing perfumes =Great idea! I love Tommy Girl. Now i know how to make the scent last longer. JPG is the bomb! you cannot beat that smell. its heaven! I’m all for kixing fragrances, especially if I bought one where I get bored with the smell as time goes or I outgrow the fragrances. Create my own signature smell. Currently wearing Jean Paul Gaultier – my fiancé loves it. Yesterday I walked into a little shop and even the owner asked me what are you wearing? I just laughed and told him JPG….